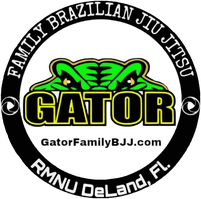 Sitemap - Gator Family Brazilian Jiu-Jitsu, DeLand Fl. 02/05/2019 - We are officially open! 11/13/2018 - Why (Most) Fitness Plans Fail! 07/30/2018 - Time to train! 07/05/2018 - The Heat Is On! 04/10/2018 - Self defense starts before an attack! 04/09/2018 - I signed up for Jiu-Jitsu! Now what? 05/17/2017 - 3 ways Ninja Warrior training can elevate your bjj game. 01/19/2017 - Choke Your Biggest Fear! 01/19/2017 - Self Defense Starts before An Attack! 09/28/2016 - Am I getting better at JiuJitsu? 08/19/2016 - I signed up for Jiu-Jitsu! Now What? 08/02/2016 - 12 Reasons why you and your child should start Brazilian Jiu-Jitsu! 08/02/2016 - Why you should train Brazilian Jiu-Jitsu with your kids. 03/30/2016 - Choke Your biggest fear! 02/10/2016 - Self defense starts before an attack! 01/12/2016 - Welcome to the RMNU Family PolkBJJ! 12/24/2015 - New Years Schmu Years... Let's do this! 01/19/2014 - Want to get better at Brazilian Jiu-Jitsu?